Yes, this is my mailbox. This is the first in a series of posts about baby stuff. My sister & her husband are having their first baby and my friend's just announced her first pregnancy too, so I figured it was as good a time as any to lay out a few things for them. 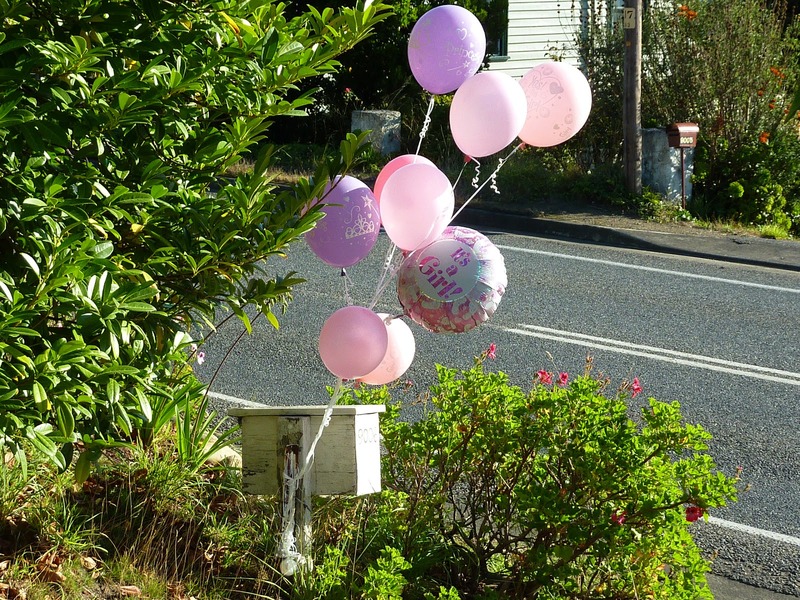 We were so lucky to be surrounded by such generous friends before and after Millie was born. Since I was about 4 months pregnant friends would (and still do) turn up with buckets of clothes for us to sift through. I think I've passed on about 4-5 full garbage bags of clothes to friends and various charities. And Millie still has more clothes than we could ever wear out. So I thought I'd write a list for my sister Salad and my friend Sarah, but in all honesty, this list is probably for you, potential gift buyer. In my experience there's three kinds of gift buying for babies and their parents: Sensible things (plain white singlets, Wondersuits, vodka), The SO Useful But Highly Pricey So New Parents Can't Afford It (Wrap Me Ups, digital baby monitors, 1L Bombay Sapphire) and The Pricey But Lordy Me I'm Stoked You Bought It For Us (beautiful baby hats, a handmade blanket, good quality bibs, top shelf scotch). Let's cover all three, shall we? My mother in law excels at purchasing within this category and most things she's purchased for us have been absolute workhorse items. Size 0 Hoodie= Winter Coat. Plain coloured singlets in a variety of sizes. I suggest from 000-1. 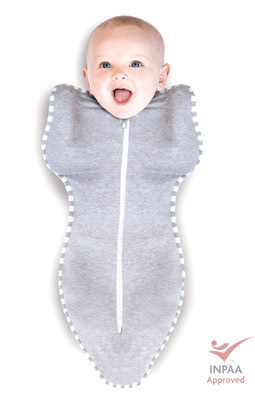 The bigger the more easy to put on your a) precious bendy newborn b) your wiggling, twisting, vocal 7 month old. Bonds Wondersuits. Again start with 000 sizing, anything smaller won't generally get much wear. Packet of 10 Facewashers. These will get used for everything, but probably rarely for washing faces. Baby socks. Newborn sizes are gorgeous, but don't forget about the 6mo+ sizing. Baby toys. We were given lots of toys that saw us through to about 4 months, and it's always useful if they're toys that won't be interesting until bubs is grasping or able to move their head around with a bit of control. Millie was given a Lamaze dragon that she still loves now and was a gift from our mates Geoff and Dani. They gave us Bruce The Confident Dragon when they asked what could they get - I said the most useful thing they got. There you have it. Clothes. Don't buy anything that buttons up the back or anything that doesn't button up the front. I don't think Millie wore anything that didn't button up the front until she was about 3 months old. I was too afraid of breaking her! The most useful piece of clothing we were given was a navy zip through hoodie in a size 0 from my brother Ben and his girlfriend Stacey. Millie wore it all through winter as a winter coat, and because it's a size 0 it went over EVERYTHING. Brilliant. Wrap Me Up. Picture from Love To Dream. Wrap Me Up. We were given one & loaned two. Amazing. M spent so much time in these instead of fussing with swaddling all the time, but at $40 they're not really affordable for everyone. Band together & buy your friend at least one - they'll thank you. We also purchased one the next size and we've only just stopped using it. Seriously. Buy your friend one. If your friends are cloth nappying, get them a voucher from somewhere like Darlings Down Under (although there are heaps of places) that sells a variety of nappies. Or buy them your favourite kind. Again, at $15-$40 ea MCNs can get pricey, so any extra are much appreciated. My work did a collection and bought us two Baby Beehinds MultiFits and that was the best gift they could have given me! A platter of Mum & Dad's favourite food. My bestie Charlotte stocked my fridge at home with brie, prosciutto, coca cola and dips and chutneys and lots of easy to eat yummy food that I couldn't necessarily have in pregnancy. A good thermal cup. Gone are the days (mostly) of a piping hot cup of tea that you need to blow on to cool enough to drink. It took me a few months to cotton on to it, but I remembered that I had these Bodum Canteen cups and now my coffee stays hot enough to not want to throw it at the wall. They're also a good small size and not plastic. I loathe massive thermal coffee mugs with plastic handles and plastic outers, so I find these cups perfect. A digital ear thermometer. My in laws gave us this Braun one and it's so handy to quickly check your screaming volume knob stuck on 11 bundle of joy's temperature, to rule out a fever if nothing else. If they hadn't gifted us this one I'd be trying to sort it out with the free Panadol forehead strip at 2am. A nice notepad and a nice pen. My mate Evie gave us a fancy little notepad and a beautiful pen in hospital as she said every Dr, Nurse, Midwife, Physio etc would tell us something and we wouldn't remember it. And it was the handiest thing we were given in hospital. We recorded Millie's feeds in it in the beginning and then when our midwife asked us when she'd fed we could flick through and find it, because lord knows I couldn't even tell you what day it was. 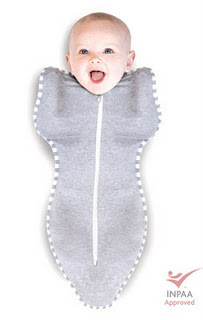 An ErgoBaby. Obviously this is a highly priced item, and I know that everyone likes a different baby carrier but I'd be stuck and sad without our ErgoBaby. I purchased mine second hand but I'd happily pony up for a new one. If your friend is of the baby wearing kind, this carrier is ace. Millie is very lucky to have lots of substitute Aunts and Uncles who buy her a lot of very pretty things. This is also great because Mr S and I are a bit sensible, and her Aunts and Uncles buy her things I'd LOVE to, but can't quite justify. Out for a wintery walk with my Toshi hat on. Millie was given this Pink Pussycat Toshi hat by her Auntie Skye and Auntie Jennie, and it is SO soft and warm, and lasted the entire winter without a tear or even a pill. I'm sad she's outgrown it. Beautiful fairy lights for above a cot. So pretty! A handmade quilt. Millie was given one made by my bestie Charlotte's Mum and it hangs above her cot at the moment. I believe every child deserves at least one handmade blankie. Good bibs. Left to my own devices I'd probably have bought cheap bibs. But again, we were given so many bibs and my favourites are the good, heavyweight handmade ones. Snaps are a must - Millie can pull the velcro ones off! A 'lovey'. Again, left to my own devices Millie would probably have some square of towel or the like, but she was given a Kaloo Liberty Doudou Comforter and loves going to bed with it now. The Kaloos are soft and cuddly and just the right size for Millie's meaty paws little hands to hold. A 'nice' jumper. Regardless of all of the second hand clothes we have for Millie, it's so nice to put on a 'nice' jumper/hoodie when we're going out somewhere. It could be the country girl in me, but I love the idea of having a 'good' outfit to pull out if we're going somewhere special. This is all things to purchase, but honestly one of the most valued gifts you can give is your time. I had a difficult labour resulting in a caesarian section, and whilst I had to be up and moving I couldn't do much beyond sitting on the couch. Friends drove down (we are 50kms from Hobart) and did the washing up, made me lunch, hung out the washing, did more washing, held the baby, put frozen meals in the freezer, vacuumed and left. Amazing. The best gift from family was from my mother. She spent two weeks with us starting a little from before Millie's birth until she was 10 days old. Mum stayed in Franklin (10km away) and would turn up at 8am every morning, make us breakfast and cups of tea, lunches and dinners. She did washing, washed the floors, vacuumed, held Millie for hours on end whilst Mr S and I slept, and was just here. But not in the way. Then we'd eat dinner and she'd go home. Rinse, lather, repeat. I was initially apprehensive about this arrangement because I was worried about Mum being in our space. However this was the best gift we could have asked for. Mum got to bond with Millie whilst being the help we needed but didn't realise we needed. Thank you Mum! So this is my list for now... what can you add? I've been planning one of these posts - you beat me to it! 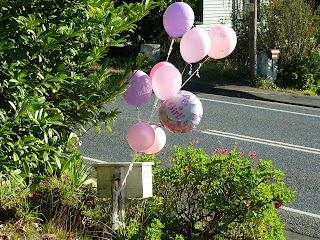 Having recently been to a baby shower, I found it interesting to see what other people perceive as 'essential'. Apparently every mum needs sixteen hooded towels. Who would have thought? I totally agree with your suggestions, especially the wrap me up, the ergo and the vodka. Being half a world away from my best mate (also coincidentally named Charlotte) who has just had ( as in 2 months ago) a little girl I am finding this very useful. I am "officially" the fairy goth mother, who is allowed to buy all the totally inappropriate presents. however I do like to stick the occasionally useful one in there. Tam - the hooded towels were great in the beginning but after 3 months she outgrew them and is now hogging my fluffiest bath sheet. Tassiegal - Are you really the Fairy Goth Mother? I love it!